The Pentagon's decision to grant Apple the security clearance required for iOS 6 devices to go head-to-head with BlackBerry 10 and certain Samsung Galaxy S4 devices on secure military networks could have with a cascading effect that spills over into the private sector. BlackBerry 10 and the Samsung Galaxy S4 received security clearance from the Pentagon earlier this month. The Pentagon has not approved Android in general, or even the Samsung Galaxy S4 in its default state. 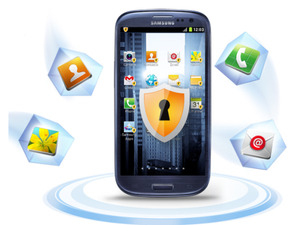 The Samsung Galaxy S4 is authorized only as long as it uses Samsung’s Knox security software. The Pentagon has cleared iOS 6 devices for use on secure military networks. The Pentagon uses approximately 600,000 mobile devices. The vast majority of those are BlackBerry, because BlackBerry established itself early on as a secure, manageable mobile platform. Now, BlackBerry will have to fight with Apple and Samsung to maintain that dominance. The United States Air Force is eager to jump on the iOS bandwagon. Following in the footsteps of many commercial airlines, the USAF plans to replace bulky flight manuals and flight plans with iPads. The investment in an estimated 18,000 iPads is projected to save the Air Force more than $50 million just in the cost of paper. And by eliminating 90 pounds of paper from each aircraft and 30 to 40 pounds carried by each pilot, the Air Force expects to save about $7.5 million in fuel costs (both savings figures are 10-year estimates). If you need evidence that iOS is secure, consider the fact that law enforcement agencies can’t crack its encryption. The Department of Justice and the NSA consider iOS encryption to be virtually impenetrable. There is a way to get around it, but it seems Apple is the only entity that knows the trick (and apparently it’s not easy for Apple, either. It was recently reported that Apple has amassed a significant backlog of requests from law enforcement assistance to bypass iOS encryption. On the other hand, it seems odd for a mobile operating system that can be jailbroken to be considered secure. Jailbreaking essentially bypasses all iOS security and gives the user root access to the device. It allows users to circumvent Apple’s “walled garden” and download apps from outside the Apple App Store approval process. If iOS 6 can be jailbroken, is it inherently insecure? Hackers launched an untethered jailbreak for iOS 6 earlier this year. The process allows users to jailbreak their iOS devices without having to connect to a syncing cable simply by visiting a website. If a user can jailbreak the device simply by visiting a website, might an attacker be able to trick a user into visiting a malicious website and gain root access to the device? In reality, it’s not that easy, and after years of iOS jailbreaking, no such threat has emerged. Apple has already invaded corporate America, with the iPhone and the iPad serving as catalysts for the consumerization of IT and BYOD trends while BlackBerry's share of the smartphone market has plummeted: The company is now in fourth place—behind Windows Phone. Certain industries continue to resist the BYOD revolution, however, and many of them also seem reluctant to abandon BlackBerry. Companies in the healthcare and finance segments, for instance, must comply with strict regulatory guidelines when it comes to managing and protecting sensive data. But if iOS 6 devices and Samsung's Galaxy S4 running Knox security software are secure enough for the Pentagon, they're probably secure enough for your business, too.